Let’s do housekeeping first! I attended the Houston Black Heritage Festival on August 11, 2018 as “media”. My pre-event and event coverage were sponsored by the #HoustonBlackHeritageFest’s PR company. Remuneration in this instance was my admission (plus one) to the fest itself. I did not have VIP privileges. Please note that this blog post is not in accordance with the post-event summary that was requested by the PR company. This review reflects my own opinion and is not a reflection of other social media or brand sponsored partners for this event. Now with that said… read on my friend! 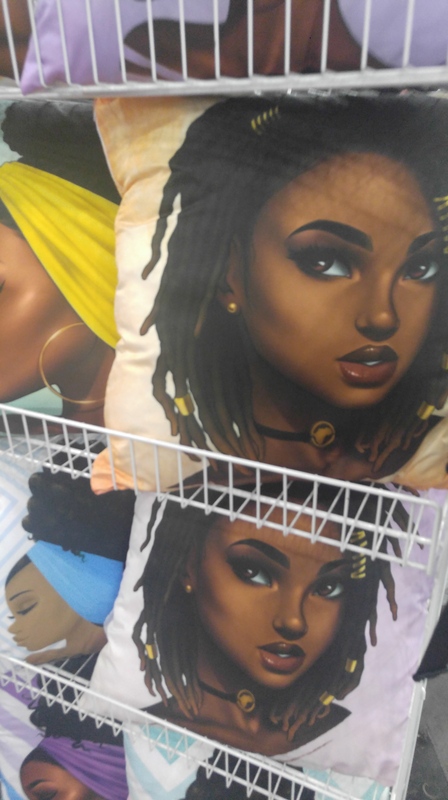 On August 11, 2018, I attended the Houston Black Heritage Fest. To be totally accurate, the entire title of the event would be the “Houston Black Heritage Music & Arts Fest”. I attended the event as “media”, but I was touting my own VIP – I brought my Future CEO. … and now here comes the preface, because I need to set context before you read on. Ready? I’m a Black American – 3rd generation from an American chattel slave. My maternal great-grandmother was born into slavery. I don’t know much about my paternal grandparents because they were dead before I was born. 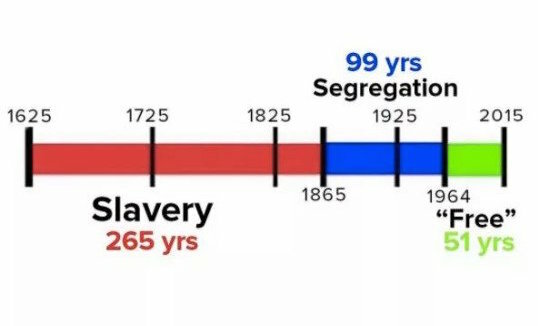 However, I suspect that since my parents are 10 years apart and my Dad was older than my Mom, that his grandparents were also born into the racist underpinning of America – which is slavery. With all that said, I AM VERY PROUD TO BE A BLACK AMERICAN – DESCENDANT OF A SLAVE. (Read it again – remember I’m setting context.) The very fact that Black Americans still exist after the cruelty of slavery, the terrorism of the Reconstruction Era, the vile horror and murderous years of Jim Crow and government sponsored — employment, housing, medical and education apartheid – means that we are in fact a triumphant people. At every turn there has been a war waged against our humanity, every since we were dragged upon these shores. I take pride that I am who I am and that regardless of global anti-Blackness, I am a wonderful, smart, empowered, confident and kind beautiful Black American woman. Now with all that said, I take the phrasing “Black Heritage” SERIOUSLY. Especially now that I am a fierce Momma, raising a Biracial Black American Future CEO. Blackness is championed in our household and the history of Black American heritage is a mandatory learning – not to weigh down the soul, but to uplift the spirit and help the Future CEO be comfortable in who they are as a person. “Black Heritage” is a beautiful, wonderful but serious thing – for proud Black and proud Black adjacent folks! I wanted to take this influencer assignment as a way to share a “Black Heritage” experience with my Future CEO. I also wanted to understand more about Southern Black Heritage. I’m not from the South. I’m not from the South. Listen here, I’m NOT from the South. My people are from the south (as with almost every GenX native Black Chicagoan – due to the great Black Migration) … so I have southern roots, but I am NOT from the south. … And you can tell. There is a gap between the mentality and mannerism of a Northern Black American versus a Southern Black American. Sometimes it is subtle. Sometimes it is as wide as the Mississippi River. In my case it is as wide as the River Nile. With Blackness and the Black American experience not being a monolith, I tend to want to understand more about other factions of the Black American experience. Coming from Chicago, my Blackness is bold and I wear it like a badge of honor. I have a fierce amount of Black pride, of confidence, I don’t sully myself to the idea that white people are better than me, I don’t have a slave mentality and I don’t cower to white supremacy – Chicago you grow up and exist along side of it because it’s everywhere. Thus, I’m very Black and I’m very proud of my heritage. This is something I don’t see a lot with Black Houstonians— there I said it. So this Black Heritage festival was supposed to be a day of learning for me and a day of discovery for the Future CEO. I wanted to experience Blackness through the history and traditions of Houstonians and those from the Gulf Coast. It was a day of learning and a day of discovery, but it was a day of befuddlement and for me as a Black American Mother – it was a day of realigning my thoughts around how the Future CEO and I will navigate or carve out our own Blackness / Black American experience in Houston. As we walked in, perhaps I was naive but I expected the rush of the Bud Billiken parade. (If you don’t know that that is… click here and educate yourself.) I expected there to be droves of Black Houstonians in the GRB. There was not. I kept thing why? Why wouldn’t droves of Black folks be here in this space? I mean you see droves of people in Discovery Green for a free rhythm and blues concert. Droves of people out and about when any SWAC or All-Star basketball event is in town. So, where are the droves of people celebrating Blackness? … ‘Cause Blackness should be celebrated! (in my Chicago mindset…) Yeah, um no. No droves. I immediately turned to the bright pink T-Mobile truck for comfort. They always have the wheel and my Future CEO loves it. I appreciate T-Mobile for being a big named sponsor of this event. 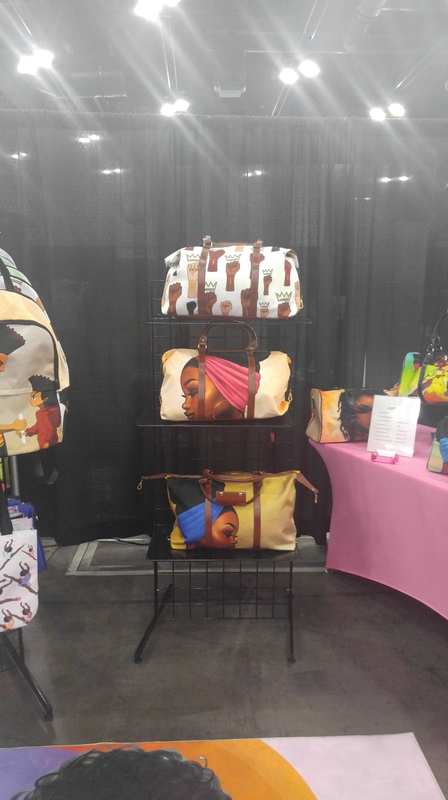 Also, for them it’s extreme brand recognition in the Black Houston community because the “pink truck” is always at local Black American events and if they are going for the idea that there is a synergy between their brand and their commitment to the Black American community, then it is working. After spinning the wheel and getting some prizes, we decided to walk around the vendor booths and tables. There were some exquisite products on offer. 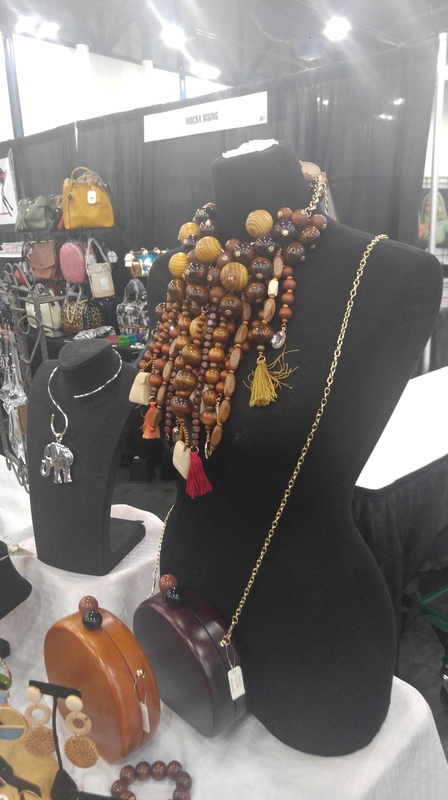 Every vendor certainly fit the theme of “celebrating Black American heritage”. 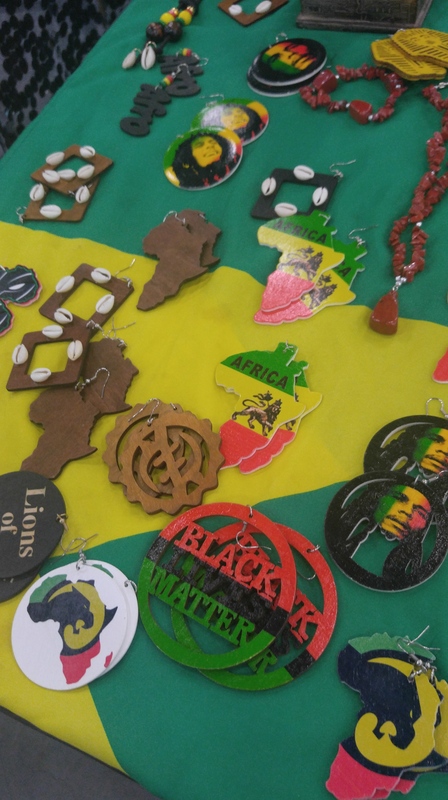 Yet I started to wonder, is this a true representation of “Black Heritage” – wood earrings that elude to the fact that some of us want to link us back to Africa? An Africa / continent we are long removed from and have no synergy with? Where are the Sojourner Truth earrings? Where is the Nina Simone t-shirt? Gwendolyn Brooks mood board. Republished books of Langston Hughes or James Baldwin? As we sauntered around through the health & wellness booths, I felt like there was something missing. Where was the mental health talk? Wasn’t that supposed to be there? Mental health and wellness has a void in large parts of the Black American community. Where is the space to engage patrons on a very intimate level about Black American health? Now that’s part of Black heritage – but where was it in this space? It was just a few booths, but this was something that needed to be on a stage. By this point, I felt the calling this a “Black Heritage” fest was a bit of a misnomer. We moved on through the vendors, we grabbed a bite to eat and we settled down very early in our seats because I wanted to see the concert. I had been looking forward to Stokely singing all week. His voice is heaven personified and if I could see him in this space, it was all the better. My wait to see him perform would be long, comical and a bit arduous. The Future CEO and I people watched and cracked jokes. We were beguiled by the other stage as we saw the kids dancing and performing, but we kept thinking “was this all it was to Black Heritage?” At some point, I even turned to my Future CEO and said – I’m sorry, I really didn’t know it was going to be like this – please know there is so much more to Blackness in America and Black American Heritage than this. She replied “I know, Momma.” I quietly whispered “Good”. I was ashamed and disappointed. Maybe I expected too much. I don’t have a clue about Black American heritage in the south, in Houston, in Texas — I just thought it would be more than what was on offer at the festival. … and there it is. I wanted the festival to be better, offer more and do better. I’m a very proud Black American and I wanted a full, robust and encompassing celebration of my very amazing and resilient heritage. The Zydeco band and the woman doing the call and response was absolutely electric. We enjoyed their performance on the small stage and the big stage. They woke the crowd up and there was a real authenticity to their performance. I’d see them again and again. The all girl youth Jazz band was amazing. They were so smooth. It was good to see young people who are interested in playing jazz and keeping the genre alive. The T-Mobile pink truck with the wheel. The wheel just spells happiness. Sorry. Who doesn’t love a good spin of the wheel? The aspiring Black country singer and her band. Great voice. A stage or space where mental health and the effects of racism in America is discussed in detail with references to viable and affordable mental health providers. A story teller section for young people to read and hear about stories of survival through slavery and Jim Crow. Black motivational speaker for working parents. Black American business forum where they discuss the REAL NUANCES to the economy and starting a viable business against current economic projections for the Black American community in the next 5 years. Dissection of organized religion versus faith and how it affects Black American lifestyle. Pardon my slang but the fest was a “whole thang” and not in a superlative way. I am however grateful for the experience and it opened up a real, heart-felt discussion about Blackness in America, Blackness in the North versus Blackness in the South. My Future CEO is southern born and will be subsequently southern raised. This is going to be a challenge of a lifetime. A bold, fierce and proud Northern Black American woman raising a gutsy Biracial Black American child in a country that is hell bent on subjugating and erasing the humanity of Black Americans. It is my sincerest hope that in coming years the Houston Black Heritage Festival will evolve and expand into an event that puts a large priority on the sense of Black American pride, knowledge sharing about Black American history and encouragement for a stronger community instead of just a couple of dance routines, songs, earrings for sale and a space of cultural befuddlement.